This is the time of year for mountain engagement sessions! Who doesn’t love being outside at the end of summer, when the temperature is beginning to drop and the weather is becoming more mild? The added elevation of the mountains and that crisp mountain air can be a welcome relief from the sticky, hot, humid heat of Greenville during the summer. Well we got to experience both today! 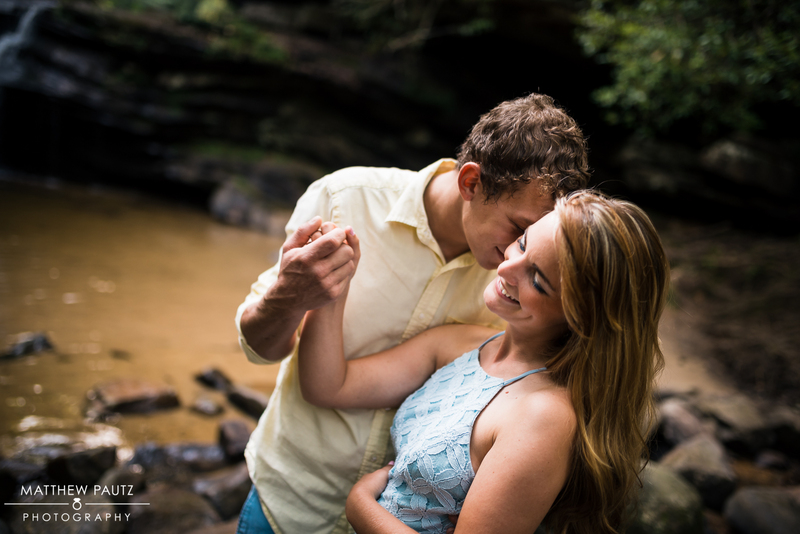 Blake and Emily had a dual engagement session – We began in downtown Greenville, and then moved to the beautiful and accessible Table Rock State Park. I love shooting here because of the amazing variety of environments I can use – Waterfalls, lakes, forests, etc while still having access to facilities and the gorgeous state park style cabins. I loved working with these two! I love all my clients of course, but it was very nice being able to shoot some of my seldom-used ideas with full support from the couple. 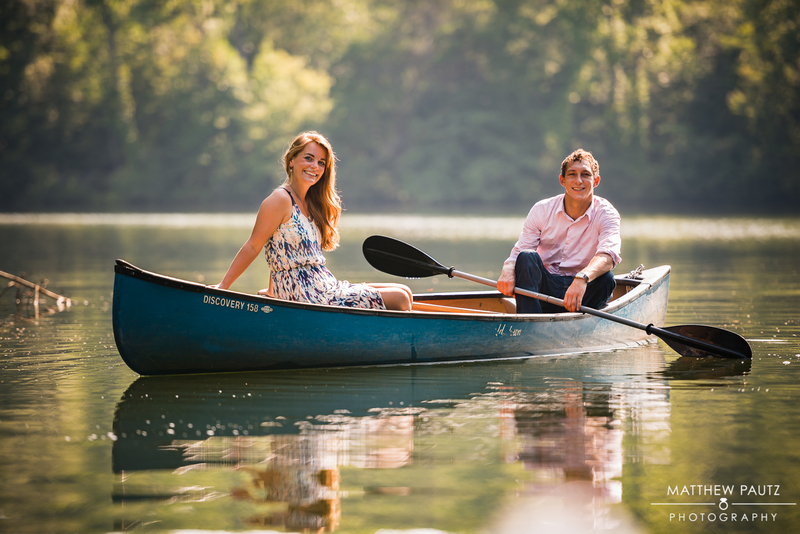 Engagement photos like the canoe shots below can be difficult to plan and orchestrate, so it was very refreshing to have this opportunity. 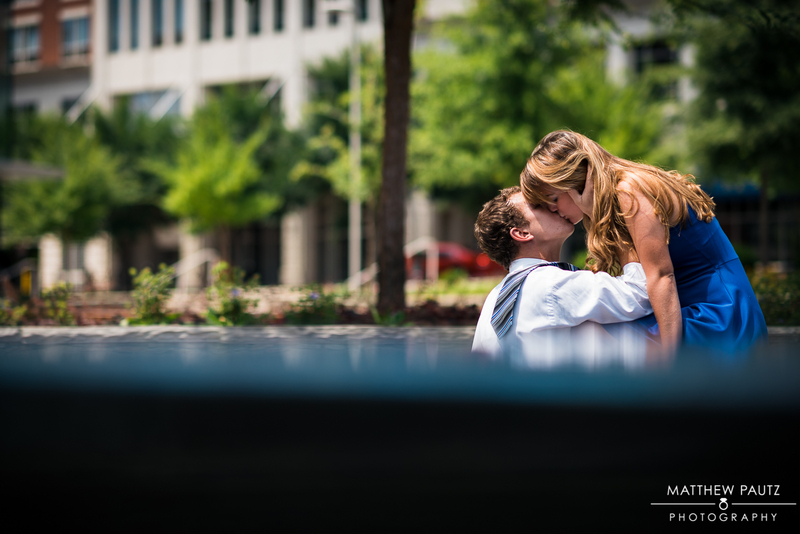 Please enjoy a few of my favorite shots from their session below!